Way out west there was this fella... fella I wanna tell you about. Fella by the name of Jeff Lebowski. At least that was the handle his loving parents gave him, but he never had much use for it himself. 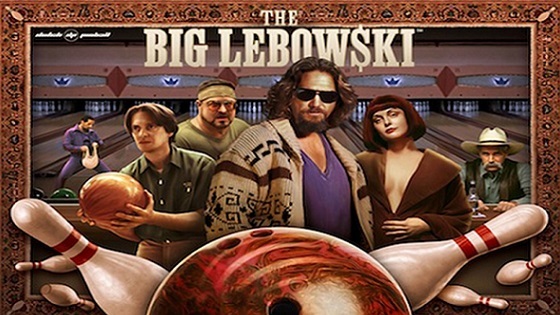 Mr. Lebowski, he called himself “The Dude.” Now, "Dude," that's a name no one would self-apply where I come from. But then there was a lot about the Dude that didn't make a whole lot of sense. And a lot about where he lived, likewise. But then again, maybe that's why I found the place so darned interestin'. This year's party takes place at the newly reopened Grand Theater on Mission Street and features a costume contest, beach bonfire trampoline, volleyball action, mini bowling, some nihilists, and white russians, while the Coen Brothers' classic plays all night in the screening room.